If you need some juice, this 6Ahr triple pack is for you. 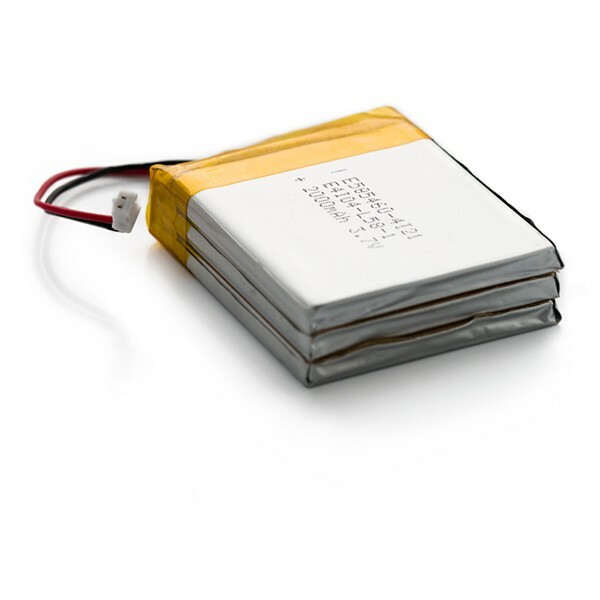 These are very slim, extremely light weight batteries based on the new Polymer Lithium Ion chemistry. This is the highest energy density currently in production. Each cells outputs a nominal 3.7V at 2000mAh! This solid 3 cell pack (6Ahr) comes terminated with a standard 2-pin JST-PH connector - 2mm spacing between pins. Do not attempt to charge these with anything but a charger specifically designed for Lithium Ion batteries. These three cells have been match for internal impedance and can be fully charged and discharged in parallel.